Quantum Information: the second Quantum revolution? 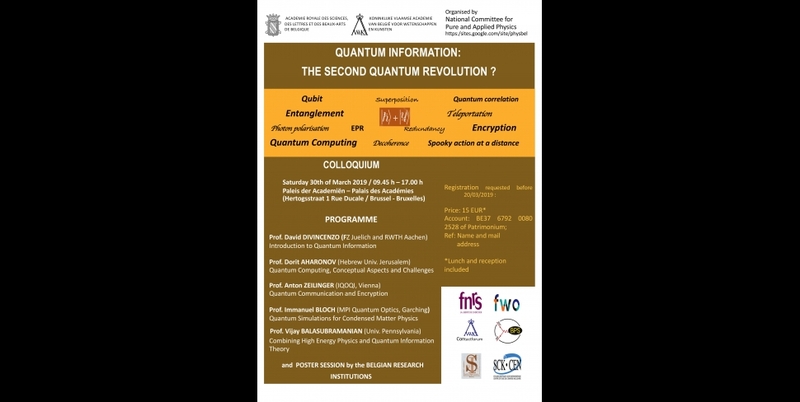 organised by the Belgian National Committee for Pure and Applied Physics (https://sites.google.com/site/physbel). Please mark the date and venue in your agenda: March 30, 2019 at the Royal Academy.